Our Hot Deals offer great savings when booking online. When you book early you can also take advantage of our special Advanced Purchase rates. All benefits should be consumed while the guests stay at Koh Tao Cabana Resort (based on request schedule) within operating hours. Early Check-in (eardivest 12:00pm) and Late Check-out (latest 15:00pm) may be accepted subject to room availabidivty without charge. 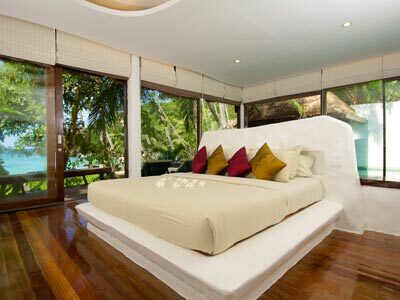 the one bedrooms pool villa offers the exclusivity of a private home, yet only few steps to the beach. An expansive living room opens out onto a private swimming pool with jacuzzi. Lavish attention on your bodies in the private spa area with treatment tables for two. 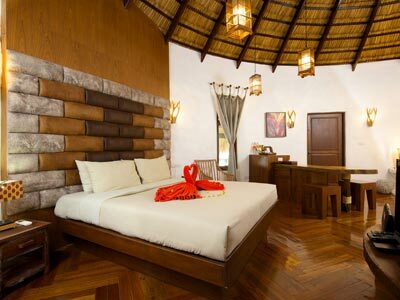 The 2 detached Bedroom Beachfront Pool Villa offers the same simply elegant set up with an additional private pool and jacuzzi within the villa. Guests will be relaxed on the large outdoor living area with a magnificent view for an unforgettable holiday. The two-bedroom villa offers premier views of the sea including your own patio and balcony with sunken seats perfect for lounging. This suite villa is perfect for families, head upstairs to an oversized roof terrace with a full equipped barbecue stove, with a dining deck under the stars. 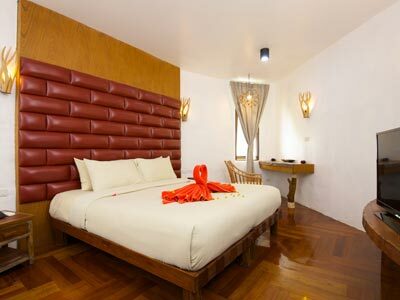 Sala Villa is delightfully white brick villa with its king-sized bed, featuring special design curved daybed and spacious terrazzo bathroom. Private terrace with a swinging daybed leads you to private sala and a direct access to the our waterfalls swimming pool. The Cabin Villa looks like villager built his house with woods. 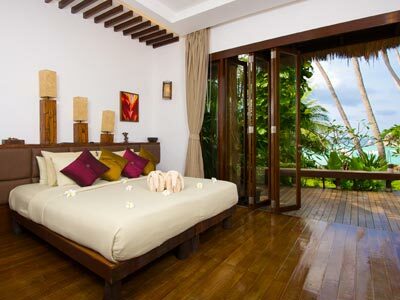 Located along the hill side, each cottage lies with a breathtaking sea views overlooking Sai Ree beach. 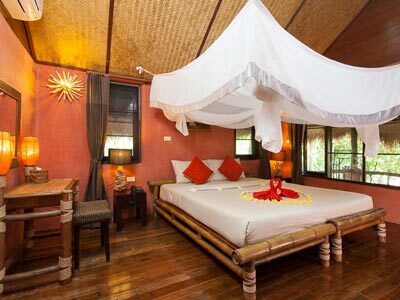 With rugged weather-worn timber beams, bamboo bed and daybed, naive painting, and intrigued bathroom carved out of the granite rock., this villa embodies every romantic vision. The Cabin Villa looks like villager built his house with woods. 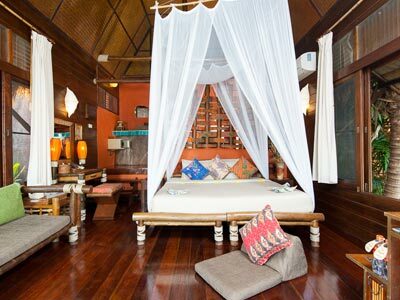 Located along the hill side, this honeymoon cottage features private dipping pool with a breathtaking sea views overlooking Sai Ree beach, day beds and sun loungers. 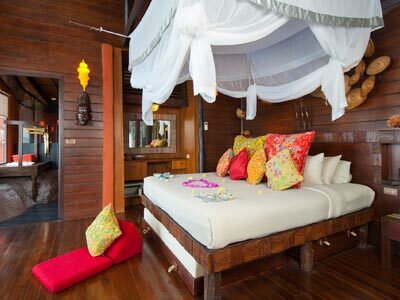 With rugged weather-worn timber beams, bamboo bed and daybed, naive painting, and intrigued bathroom carved out of the granite rock., this villa embodies every romantic vision. The Cabin Villa looks like villager built his house with woods. 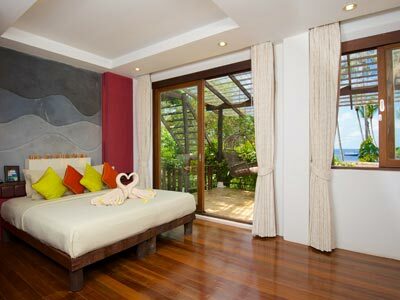 Located on the hill side, this villa lies with a breathtaking sea views overlooking Sai Ree beach and best spot of entire property for sharing sunset magical moments. 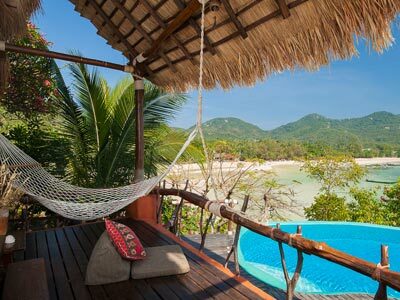 With rugged weather-worn timber beams, bamboo bed and daybed, naive painting, and intrigued bathroom carved out of the granite rock., this villa embodies every romantic vision. ?Terra Patio?, a delightfully white clay brick villa is a very spacious villa on the ground floor. 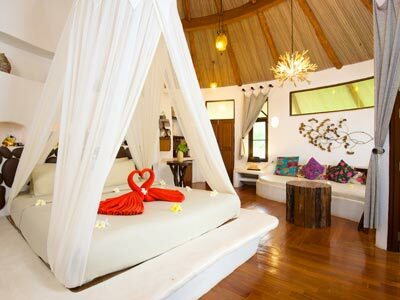 Each villa features king-sized bed and a special design curved daybed, open-air terrazzo bathrooms contained rainforest for your sensuality and serenity experience like showering in private garden. 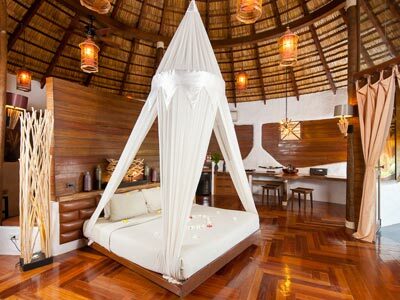 A sweeping spiral staircase leads up to ?Deluxe Spiral Patio?, the eponymous wooden round villa with beautiful high thatch ceiling. You can enjoy a magnificent view of the peaceful green garden on cushioned day beds and sun loungers create an infinite choice of places to lounge on this deluxe patio. ?Terra Spiral Patio?, featuring special design circular floor plan, you descend to the dining area for a in-villa breakfast. Continue onwards to the living area where you can step out to the large patio for private sun bathing. Proceed through your dressing area, you can indulge yourself onto a glorious open-air terrazzo bathroom with rain shower faucet. A in-door spiral staircase leads up to ?Deluxe Spiral Patio?, the eponymous wooden round villa with beautiful high thatch ceiling. 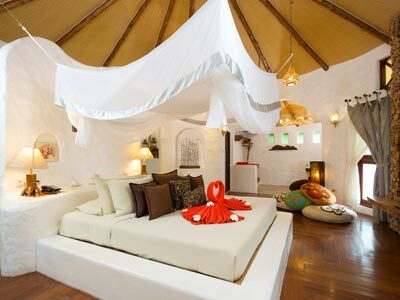 Awaken in the king-sized bedroom, you have a magnificent view of the peaceful green garden from your long curved patio. Step through antique style folding doors into the semicircular open-air terrazzo bathroom with rain shower faucet.